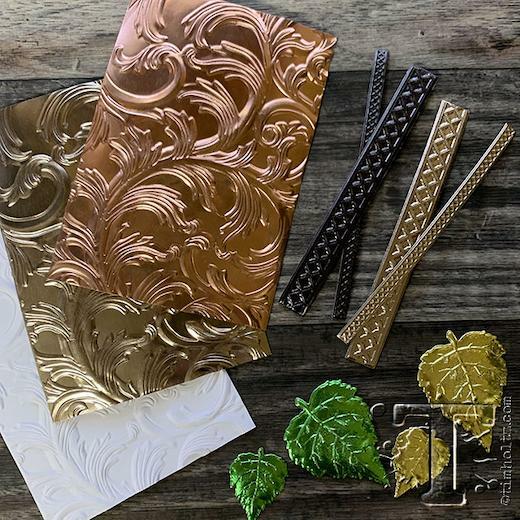 Baroque flourishes take on new dimension in the Elegant 3-D Texture Fades™ Embossing Folder by Tim Holtz®. 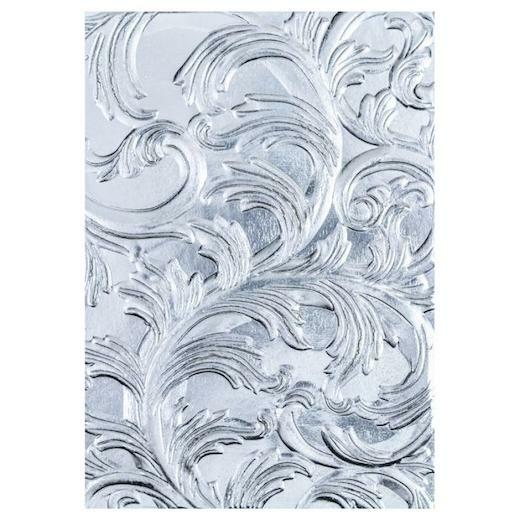 Use this sophisticated design to create high-definition backgrounds with amazing detail. It’s a perfect addition for papercrafts and mixed media projects of all kinds.